Family pets have been a big part of our life. Pets not only teach responsibility but they also teach generosity and instill an appreciation for God's creation. God gave us animals to use and enjoy. We really enjoy our dog and cats. Our dog's name is "Ninja" and he is a chocolate lab. He is a huge dog and has become very dear to us. We really enjoy him. He is gentle with the kids and makes us feel safe. Toddler-Fah and him are best friends. 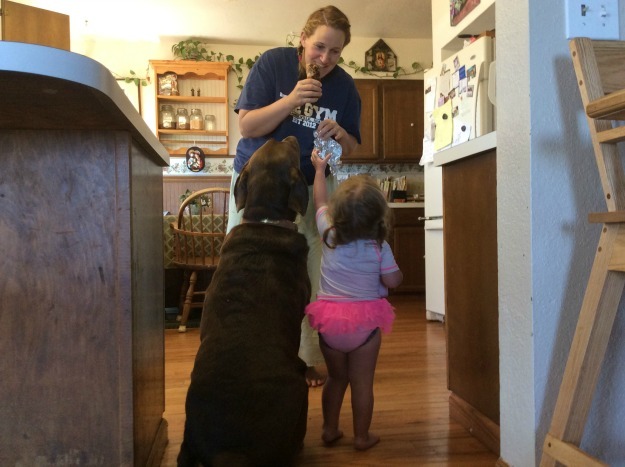 I think toddlers and dogs have a very special relationship. She feeds him from her highchair and he lets her crawl all over him, and treats her very gently. I love hearing her scold him. It is so funny! Our cats also bring us a good deal of pleasure. "Thomas" is a tabby and he is very friendly. He loves to sit on laps and lets the little ones pet him. "Johnathan" is much less friendly, but we do enjoy watching him and "Thomas" play. They are so entertaining. The cats also help us as they are very serious mousers. When we moved into our rural home, there was a lot of evidence of mice. Now all we see are dead mice that the cats give as peace offerings to the dog. There's a lot more to owning a family milk cow than having fresh milk. That’s not all your moo can do. 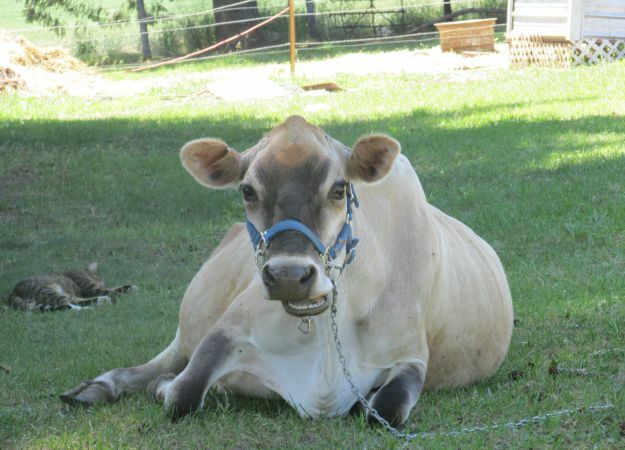 Learn about numerous fresh dairy products plus the joys and how tos of owning a cow. 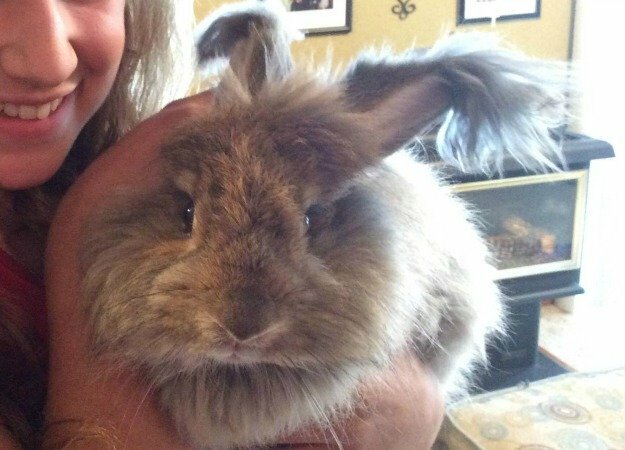 "Marley" our first quality German angora. Gone but not forgotten. Fluffy, irresistibly soft, and great pets...we love angoras. They have personality plus and give us skeins of luxurious yarn to make gorgeous gifts. Consider welcoming one these fluff balls into your household. Our first top bar hive. 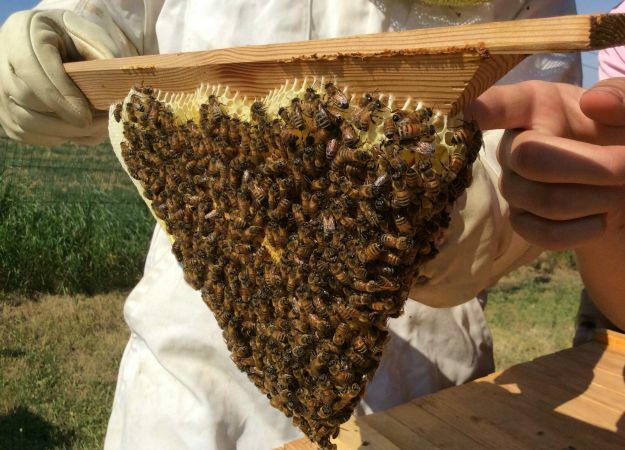 We're looking forward to increasing our hives. Okay while wild birds aren't really family pets, it is fun to feed them and observe all the wonderfully entertaining things they do. 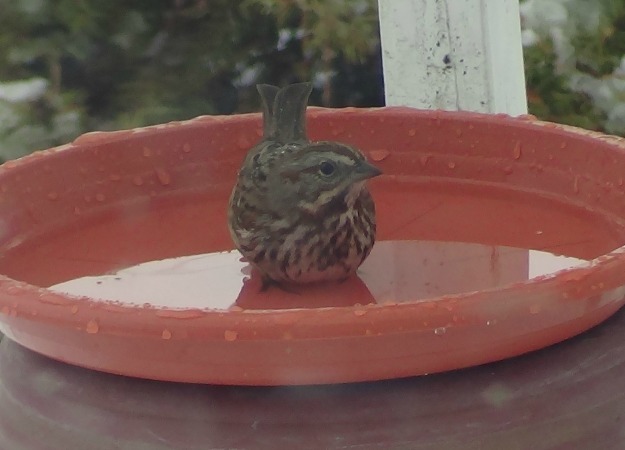 We loved watching the little bird above take a bath in our bird bath. It was a very cold winter day. Everything was frozen and there was snow on the ground. This girl bathed and bathed herself in the fresh water. Some of our usual visitors are hummingbirds, red wing black birds, western blue birds, collared Eurasian doves, house finches, and juncos to name a few. These are our goldfish, "Michael" and "Raphael"-"Gabriel" didn't make it. 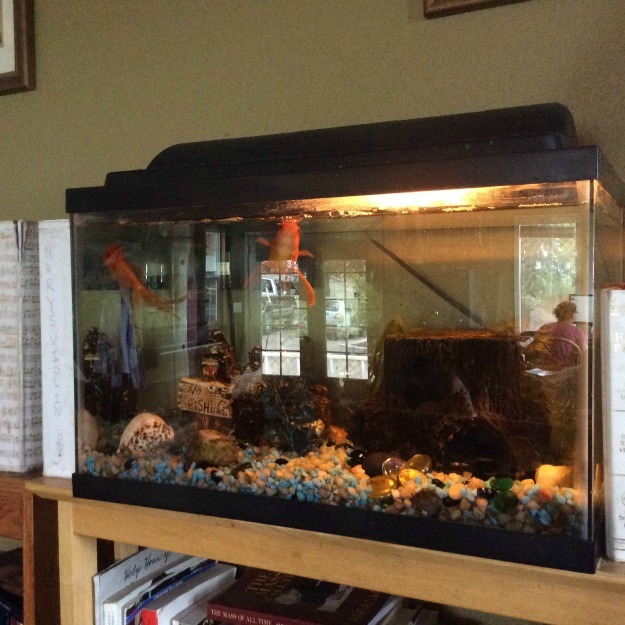 One of the easiest and most entertaining pets to keep are goldfish. These low maintenance fish are cheap and fun to watch. A small aquarium actually adds to the decor of a room. I love watching them swim around in a clean tank. Fish tanks give a lovely ambience to a library or informal living room. Mark a line on your fish tank with a permanent marker. This line should be marked where your fish tank would be 2/3rds of the way full. Remember to consider the area of water. Make a rough estimate keeping in mind the water starts where the rocks end and at the waterline when your tank is full. Using a small rag, scrub the inside walls of the tank. Then gently stir up the rocks scrubbing the walls by the rocks. Next gently wipe the accessories. Now that you have made your tank filthy, remove the water with a pitcher to the line that you marked. You will remove 1/4th to 1/3rd of the water depending on how much has evaporated since your last cleaning. Leaving a lot of "dirty" water is important for the health of the fish. They are used to the composition of that water and mixing it with fresh water of the same temperature is very important. Now take the filter out and gently clean it in your kitchen sink with plain water. Put the filter back and fill the tank back up with water that is about room temperature. After about 24 hours, you will be surprised how beautifully clean and crystal clear your tank is. We clean our tank about twice a month. Tell us about your family pets in the Disqus below.